If there is anything we all know, it is that every living thing appears to have a life span, and in the end, there occurs something that we call death. Death is defined in the American Heritage Dictionary as the end of life of an organism or cell. "In humans and animals, death is manifested by the permanent cessation of vital organic functions, including the absence of heartbeat, spontaneous breathing and brain activity. " For those of us who have watched a loved-one or pet die, the above description is quite accurate, except for the spiritual part of the death experience. It is a highly emotional experience, one in which the spirit of the individual occupying the body leaves it, never to return. The recent loss of my beloved wife Doris still burns heavily on the mind of this writer, even though it happened over two years ago. Observing what appears to be the intense agony endured by living creatures, whether human or animal, as they go through the natural process of dying, makes this natural part of the life experience scary. It is a common thing for people to comfort friends and relatives of people who meet sudden accidental death by noting that "they didn't suffer." Indeed, anyone accidentally killed in a traffic crash, or even shot to death on the battlefield, has found a quick way out of this life without experiencing the extended and intense pain of a natural passing of life into death. We doubt if there is such a thing as dying in our sleep. Things like that may happen, but we have this deep suspicion that even then, the dying subject awakes to the horror of pain before passing on. The relatively contemporary practice of attaching machines that serve as artificial body organs, thus keeping the body alive for weeks, months and sometimes years, is a new form of human suffering that makes dying an even more horrifying event for us to think about. Thus we don't allow ourselves to think much about it. I suspect many people choose to be attached to machines just to hang on to life as long as possible even though the experience prolongs the agony and delays the inevitable. My wife's choice, as will my own be, was to allow the dying process to follow its natural course. The cancer that secretly ravaged her pancries before spreading through the rest of her body took her quickly. The home hospice nursing staff managed her pain and eased her out. She died peacefully at home. Our grieving is not yet ended. It is common in many societies, especially notable in America, for people to avoid speaking of death. Many folks live as if they will somehow escape the inevitable, and live forever, not bearing to think of life coming to an abrupt end. Even our churches, places designed to help us prepare for death, fail to do their job. Most Christians die fearfully, even though they have gone through life believing that a fictitious god/man Jesus has assured their route into Heaven. Strangely, while I know of almost no one who remembers being born, it is said that the birth experience is just as painful, not only for the mother but also the child. That modern parents choose to have their babies in hospital settings, believing that the presence of doctors, nurses and the latest medical care is the safest and most pain-free route, only appears to intensify the agony. One of our daughters was born breach and the delivery physician was forced to reach inside the birth canal and turn her before the process was finished. Imagine the agony my wife and the baby endured. I was told that a similar thing happened when I was born, and the doctor used some kind of metallic forcips, attached to my head, to pull me into the world. Just thinking about that gives me a headache. I have actually examined my head in a mirror to see if it was somehow squeezed out of shape. It looks relatively normal, however. So we have established that both the birth and death experience for humans, and at least for all known mammals, involves a lot of pain. Yet for those who have gone through the death experience and then been revived, the experience of being alive becomes more precious. My wife's brother, Wayne, once drowned when his swim trunks got caught on a nail when he dove under a home-made raft. When he was pulled from the water and revived by his brother, he said he was so enraptured by the death experience that he was angered when forced back into this world. From that day on, Wayne said he loved life even more intensely than ever, even though he looked forward to death. He said he had no fear of dying after having once been dead. Another man we knew, who also was revived after having died following a medical procedure, tells the very same story. This man later volunteered for a simulated death experience, an experimental program developed at the Monroe Institute, at Faber, Virginia, which specializes in out-of-body events. He said he took several trips out of his body and went through the death experience daily for one solid week. While in that state, he said he conducted various experiments, discovering just what happens to the "spirit" after it exits the body. He said the process of dying "hurts like hell" but after that, he said being dead is extremely pleasant. But he said that once you are dead, you discover that every moment that you were alive was precious, and you understand why we do not want to waste the relatively short time we are allowed to exist in these bodies. I think he was referring to the difference between existing as a spirit and occupying a physical body. This man had interesting stories to tell about his death trips. He said he visited the Christian "Heaven," with its gold-paved streets. He also found Hell, and found that it, like Heaven, was created in the minds of the millions of people who have been convinced of its existence and dumped this information in the collective consciousness. He also found a few other interesting levels, including a beautiful place of green grass and fine dwellings, all created in the mind, where people sometimes meet during their travels out of the body. 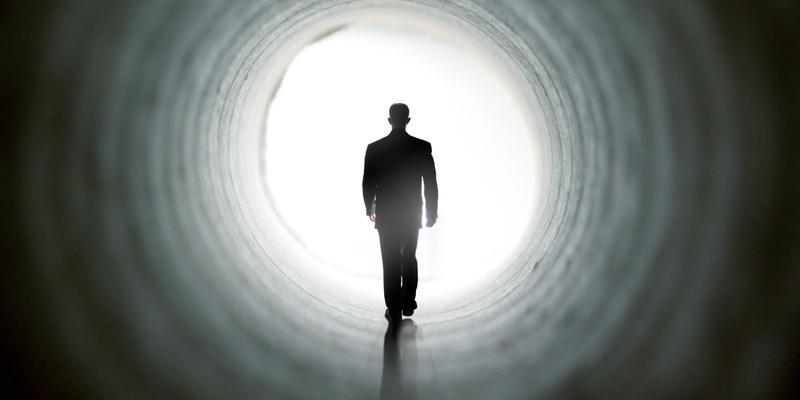 The final destination for the dead is supposed to be "the light," or the heart of the creator. Because there has been a collective consciousness library of information, a cellular storage place of the memories of all intelligent beings who have ever lived on the planet, the memory of who we were continues to exist. It constantly returns in the cellular memory of newborn children, thus giving many people the impression that they are reincarnated from earlier lives. In a sense, that is somewhat true. There is a very big threat looming to this whole business of recycling our cellular information, however. As our solar system ages, as our sun reaches its final stages, and as we humans overpopulate and pollute our planet, we now face a threat of something far worse than the mere pain and suffering of death. This is extinction. Extinction involves the destruction of that wonderful cellular collective memory that we all share. There seems to be a relationship between the collective memory and the living Mother Earth. When the planet dies and collective memory may go with it. And if and when the collective is gone, we could find ourselves being physically torn apart, and all memory of who we are, who we were, and who we might have become erased. This, of course, is only a theory shared by some occultists. If they are correct, they believe extinction will mean that the collective creations of both Heaven and Hell and all the rest of us will also be torn asunder, and each individual trapped in our own unique belief system will be destroyed. Could this then be a fate far worse than death? Will we not want to scream a warning to the foolish humans now wasting their precious time as the planet under them goes into its death throes?